Boost Charger for Mobile Phone Battery. Start Up Project 13. Why allowing Mobile Phone battery for a “Deep Sleep”. Many times we replace the Mobile battery without knowing this Deep sleep property of the battery. Actually the battery is good and we can easily revive the battery from deep sleep just giving a “Shock”. The trick is very simple and you can use the battery again. 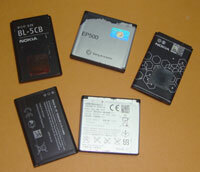 How the Mobile battery enters into deep sleep? In the Mobile phone battery, there are three pins to connect the battery. One is Positive and the second one is Negative for charging. Then why a third pin? It is known as BSI Pin (Battery Status Indicator). If we are not properly charging or leaving the battery unattended for long time, the Mobile phone will not detect the battery for charging. So by removing the battery and giving a “Boost pulse”, the battery will “Wake up” from sleep and starts charging. Best trick. You need only an USB cable and two pins. You save 350 -500 Rupees. Let us learn the trick.